Distribution, vente et installation de rampes en verre trempé 12mm sans cadre avec base en acier inoxydable, disponible partout au Québec. Pour le patio, le balcon, l la terrasse, l'escalier ou bien la piscine. Que ce soit à l’intérieur ou à l’extérieur, nous avons ce qu’il vous faut. Appelez-nous pour une estimation gratuite ! 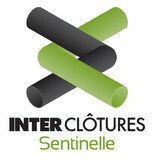 Inter Clôtures Sentinelle is a founding member of Groupe Inter Clôture. This organization is the largest gathering of professionals in the field of fencing in Quebec since 1991. Inter Clôtures Sentinelle is a member of the Closing Industry Association of Canada and is recognized by CAA dwelling as a leader in its industry. The company offers a showroom and a counter for the sale of parts. You can purchase your fence on site to install it yourself or call on the expertise of our installation services. We offer our customers a range of innovative and diversified products to suit all tastes and budgets. We provide sales, repair and installation services, whether residential, commercial or industrial. 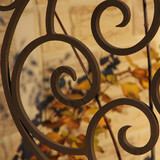 L'art forge specializes in sophisticated design, making unique wrought iron staircase railing, fences and gates, wrought iron furniture, gazebos and balconies. Art Forgé metal home ornaments include a variety of wrought iron candle holders, lighting fixtures, curtain rods, mirrors and more, forged specifically for you and coated with a special ‘anti-rust’ finishes. In the 21st century with its industrial wholesale technologies, handmade wrought iron articles have become a refined and prestigious way of decorating your home or business. Unlike mass production, our metal creations are one-of-a-kind, suiting your personality and the needs and quirks of any available space. Introducing your interior and landscape to the fanciful beauty of wrought iron, we combine our contemporary ironwork with the ages-old traditions of handmade artistic forging. We bring to life any clients’ wishes: from large-scale orders to small, exclusive wall ornaments, utilitarian objects and sculptures. Simultaneously decorative and functional, Art Forgé world-class pieces frequently incorporate wood, glass and other materials into the metalwork. The master strives for innovative approach and the highest level of quality while maintaining outstanding customer service and keeping his prices reasonable and competitive. Please check out our gallery to see the wrought iron products: railings, gates, tables, beds, gazebos, benches, candle holders, lighting fixtures, curtain rods, mirrors, sculptures and others. Fantastik Fences is composed of a young hard working professional team, building custom wood fences and garden structures to give you the privacy most of us crave but also beautifying it's surroundings & adding value to your home. We have years of experience in landscaping & woodworking, we take pride in our work & love what we do.We have many models to choose from and are capable of bringing any project to life. We serve all of Montreal and its surrounding areas, we've also been known to go out as far as Val-Morin. We can accommodate most needs. Whether it's for an appointment or just a question, feel free to contact me. Child Safe removable fences are the answer to child safety and protection around in-ground swimming pools. Developed to allow parents to maximize their pool area's security and to limit its access from young children, Child Safe fences exceed all your security requirements. They also offer superior strength and durability and are quickly and entirely removable. At Child Safe, our priority is security, and we believe it's possible to attain that goal without sacrificing the beauty of your pool and your landscape. CHILDSAFE has been selling anti-drowning pool fences in Canada for more than 25 years. CHILDSAFE fence is bad weather resistant. It is also easily removable; this fence is made of detachable, light sections which can be rolled and stored at convenience. Maintenance free. It only takes a few seconds for an adult to unlock the unit and get into the pool! Possibility of adding a gate with a self-latching magnetic lock (Magnalatch Series3 technology – LIFETIME WARRANTY). We offer the most solid and durable posts on the market. The see-through mesh allows for easy surveillance and is also very aesthetic. CHILDSAFE exceeds the safety requirements to prevent drownings as well as the standards of excellence in the market. We offer installation and repair of ornamental fences comprehensive services, fencing mesh or vinyl to suit all tastes and budgets. Our team is always alert to the aesthetic field and ensures that the installation or repair is done according to standards. The bottom line is your satisfaction and your closing brings you comfort and safety in your home. 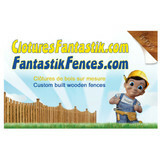 Since 1998 Clotures Frontenac Inc. became the number one source for any fences products in the industry. Proud partner of fence contractors, landscapers and handymen, our products are locally available and distributed all across Canada. Our factory is located northbound Montreal, has a large production capacity and over 5 million dollars of inventory to supply the market. Clotures Frontenac Inc. integrates innovation strategies to respond to trends North American market. With a satisfaction guarantee , we are constantly working to increase our standards of product quality and services. Residential aluminum pool fence Ornamental Aluminum is a beautiful and secure fence for your property but it can be over whelming with all the options. At Townships Fence we can offer pre-fabricated aluminum panels as well as custom built to your specifications. We are your one stop shop for ALL your fencing need in the Bromont, Waterloo, Granby and Cowansville area. By getting us to build your next fence or deck project you get our 30 + years of experience in the fence and gate industry. We install chain link , wood(spruce-pine and cedar), and gorgeous aluminum ornamental fences which are a perfect match to secure your inground swimming pool! We also provide folks with a fully equipped custom fabrication shop. Eastern Township Fence Co. for: Residential-Commercial-Industrial fence projects Your contact : Luke Davenport, Frank Jalbert We absolutly DO speak english! Notre compagnie située au cœur de la Montérégie est spécialisée dans le domaine d’installation de clôture et de rampe résidentielle et commerciale. Que ce soit pour sécuriser votre piscine, clôturer votre propriété, ou simplement embellir votre cour, plusieurs options s’offrent à vous. Laissez-nous vous aider à choisir le produit qui vous convient le plus. 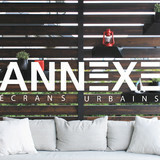 N’hésitez pas à visiter notre site Balcons Précision pour toute information relative au garde-corps et au balcon. The Green Barrier company has brought together a group of people who have unique expertise in building noise barriers and fences using willow. In addition to our vast experience in willow cultivation in North America, we also benefit from the know-how of our European colleagues at the Pilebyg company, who have been building and installing these products for the past 20 years in Scandinavia. Entreprise familiale fondée en 1991, Clôture «Actuel» inc. se spécialise dans la vente et l’installation de clôtures et de rampes. Située sur la rive-sud de Montréal, nous offrons nos services à une clientèle résidentielle, commerciale et industrielle. Notre entreprise détient sa licence d’entrepreneur en construction # RBQ 8006-9354-87 et est membre de l’association canadienne de la clôture. Venez visiter notre salle de montre où vous trouverez un vaste choix d’échantillons de clôtures parmi notre nombreuse gamme de produits. Nous avons un comptoir de pièces à votre disposition pour vos installations ou réparation. Nous offrons des produits durables et sans entretien. Les clôtures en acier ornemental, aluminium ornemental et la clôture de maille de chaîne sont nos spécialités. Nous sommes dépositaires de marques prestigieuses tel que Oasis, Séfaco et Oméga. Que ce soit pour faire installer ou pour les installer vous-même, n’hésitez pas à nous contacter. Nos représentants sont toujours disponibles pour vous conseiller. La satisfaction du client est notre priorité. Chez Clôture «Actuel» inc., vous trouverez l’expertise nécessaire pour réaliser tous vos projets. Nos installations sont effectuées par des employés d’expérience et sans sous-traitance. Nous désirons effectuer le meilleur travail chez chacun de nos clients. Nous sommes fiers de nos réalisations qui avec le temps restent impeccables. Ici, nous vous offrons le meilleur rapport qualité-prix et l’assurance que notre travail sera fait selon les plus hauts standards de l'industrie. Gallup Brook Fencing is owned and operated by John Doyle, who took over the company when founder Troy Steel relocated to his home country of New Zealand in 2012. John came to the business with several years of previous commercial and residential fence experience with other companies in New England, and has built on the knowledge gained from mentors with over 30 years in the industry. Quality construction and affordable rates have earned the company an excellent reputation in northern Vermont, and that commitment to quality and service has kept the business running as one of the top fencing companies in the region. Gallup Brook Fencing owes its outstanding reputation to a great relationship with local vendors and enthusiastic word-of-mouth referrals from loyal customers. Gallup Brook Fencing is dedicated to outstanding service and quality workmanship. We look forward to helping you with all your fencing needs. Call today for a free consultation and estimate! (802) 644-8080 or (802) 933-6700. Your Saint-Michel, QC fence installation and repair professional will work with you to create your ideal fence. Fence installation or replacement. If you are in the market for a brand new fence, a contractor’s services will include walking you through various fence styles and materials, determining a suitable height, ensuring that all fence designs and plans are compliant with Quebec building codes, and that the fencing meets both your stylistic and security needs as the homeowner. Fences and gates must complement the grade of your property as well as the type of soil you have, so the contractor should always plan around these considerations. Additionally, if you don’t know exactly where your property lines are, he or she can commission a survey for you. Find a fence contractor in Saint-Michel, QC on Houzz. Narrow your search in the Professionals section of the website to Saint-Michel, QC fence contractors. You can also look through Saint-Michel, QC photos to find examples of fencing and gates that you like, then contact the professional who worked on them.